Now playing on Broadway: Gore Vidal's - The Best Man, Jekyll and Hyde, Kiss Me, Kate, Les Miserables, The Lion King, and The Man Who Came to Dinner. Virginia Theatre, 245 W. 52nd St. between Broadway & 8th. Ave. (212-239-6200). $40-$75. Tue-Sat 8 PM; Wed, Sat 2 PM; Sun 3 PM. The play we have been waiting for, written by Gore Vidal, is about politicians scheming and moralizing. To what end qualifies the means? Charles Durning as the ex-president, Spalding Gray and Chris Noth as his competitors. Elizabeth Ashley also stars. Directed by Ethan McSweeny. Martin Beck Theatre, 302 West 45th St. between 8th and 9th Ave. 212-239-6200. $29 - $84, Tue - Sat 8 pm; Wed, Sat 2 pm; Sun 3 pm. 2 Hours 45 min. One Intermission. Cole Porter and Samuel and Bella Spewack's classic musical depicting backstage biting during an out of town tryout for a tuner based on The Taming of the Shrew. Starring Marin Mazzie & Brian Stokes Mitchell. Directed by Michael Blakemore and choreographed by Kathleen Marshall. First showing since the original 1948 production. Winner 5 2000 Tonys including Best Director, Revival and Lead Actor. Imperial Theater, 249 W. 45th St. between Broadway & 8th Ave. (239-6200). $20-$80. Tue-Sat 8 pm; Wed, Sat 2 pm; Sun 3 PM; 3 hrs. 15 min. One intermission. Geffen cast album. Musical adaptation of Victor Hugo novel about persecuted Jean Valjean. 12th year running. J. Mark McVey is current Valjean, Javert is Gregg Edelman & Fantine is played by Jane Bodle. New Amsterdam Theatre, 214 W. 42nd. St. Between 7th and 8th Ave. (307-4100). $25-$90. Wed-Sat 8 PM; Wed, Sat 2 PM; Sun 1-6:30 PM. 2 hrs. 45 min. One intermission. Director Julie Taymor. Disney's new theater. Adaptation from animated screen. Cast of 46 sings the Elton John - Tim Rice score. Simba the lion cub destined to become king. Garth Fagan - Choreographer. 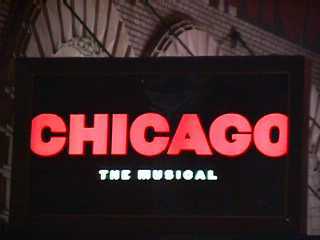 Roundabout Theatre Company At The American Airlines Theatre, 227 West 42nd St. (212) 719-1300. $50 - $65. Through October 1st, 2000. Tue-Sat at 8 PM with Wed, Sat & Sun matinees at 2 PM. By Moss Hart and George S. Kaufman. Directed by Jerry Zaks. Starring Nathan Lane and Jean Smart. A pompous writer disrupts the lives of a an orderly Mid-Western family when he is forced to stay there during the winter. Lane is a Tony Winner and is credited with "Guys and Dolls", "A Funny Thing Happened On The Way To The Forum", and "Love, Valor and Compassion". He was last seen at The Roundabout in "She Stoops To Conquer". Jerry Zaks, director, a four time Tony Award Winner, directed Lane in "Guys and Dolls" and "A Funny Thing Happened On The Way To The Forum". He's also directed "Smokey Joe's Café" and many other notable Broadway Plays.